What could possibly be better than a facelift? 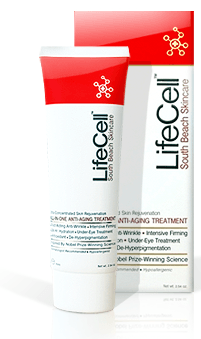 That is a question often asked by women who have lost hope in regaining youthful skin. Here's the answer to that: Anything that doesn't take weeks of recovery or bruising. A facelift requires you to undergo a very invasive procedure where incisions are placed behind your ears and under your hair to detach your skin's face from the bone and pull it to give a tighter, wrinkle-free appearance. Because of the severity of this procedure, recovery times average around the 12 week mark, and to see a full result: ONE YEAR. There are less invasive and sometimes virtually pain-free facelift alternatives. Some show results instantly, some may take 4-6 weeks, but at least you're not bed-ridden and covered in bruises right? When containing the right ingredients, topical treatments such as creams, serums, and exfoliants are some of the most effective facelift alternatives. Look for products containing clinical grade ingredients like DMAE, Vitamin C and Retinol. These ingredients are scientifically proven to reduce the appearance of wrinkles, firm sagging skin, and help rebuild collagen in your skin to give a fuller and youthful look. With topical treatments, you can find ones that produce instant results that last until you wash your face, or you can opt for a stronger treatment that takes a few weeks to see results, yet provide maximum wrinkle reducing effects. Chemical Peels are a little more intense, but non-invasive. They work to tighten the skin in a way that no other procedure or product can. There are 3 major types of acids that are used in chemical peels: glycolic acid, salicylic acid, or phenol. Glycolic acid is a mild acid that can be layered several times to get a more aggressive peel. Salicylic acid is very mild also. There is usually no down time required when getting a peel that includes glycolic or salicylic acid. However, phenol peels are the most invasive. They usually require downtime for a few days up to a week and possibly anesthesia. Any of these peels can be layered to remove more skin and get more aggressive. The person that is performing the peel will have to have a license so he or she will be able to tell how deep the peel needs to go. Cosmetic injections is a common injectable that causes instant relief of things like laugh lines, forehead wrinkles, and deep creases. Cosmetic injections are considered a lunchtime procedure. It allows for you to return to work right after treatment. The doctor will decide how many units to administer to forehead, chin, and cheeks. He or she will also decide how diluted the formula will be. Women in their 30s are turning to this procedure since it is quick, easy, and works really well on shallow lines such as crow's feet. The more diluted the formula, the cheaper the cost. When you're searching for someone to administer cosmetic injections, it's best to ask for patient's before and after pictures before making your decision. Cosmetic injections shots need to be redone about every 4 months.